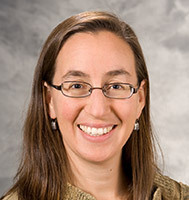 The DFMCH’s Sarina Schrager, MD, is leading a project to help clinicians improve shared-decision making for cancer screening using tools built into the electronic health record. Screening for lung or breast cancer saves lives, but it can also be associated with high false positives, overdiagnosis and subsequent unnecessary interventions. The complexity of whether, when, and how often to screen for these cancers has led to recommendations—and in the case of lung cancer, a mandate from the Centers for Medicare and Medicaid Services—that clinicians and patients participate in shared decision making (SDM) before cancer screening takes place. In SDM, patients and clinicians share the best available evidence when making medical decisions, and clinicians support patients as they express their values and preferences in regard to those decisions. To help clinicians use SDM efficiently for lung and breast cancer screening, UW Department of Family Medicine and Community Health Professor (CHS) Sarina Schrager, MD, is leading a UW Health Innovations Grant that provides training in SDM techniques using a decision aid built into the electronic health record. Dr. Schrager and colleagues first created a training curriculum comprising slides, handouts and group activities. It was launched at the DFMCH’s Faculty Development Day on May 2, 2018, and will be offered in other departments later in 2018. Decision talk, which elicits patient preferences and arranges next steps. The team is now recruiting clinician and patient stakeholders to evaluate the curriculum and offer recommendations for improvement. It will then pilot a process for training clinicians at UW Health primary care clinics to implement SDM for cancer screening, and ultimately roll the process out system wide. Research shows that shared decision making increases the accuracy of patients’ perception of disease risk and the likelihood of them choosing a screening option in line with their values.